This stylish anti-theft business bag has special shoulder straps to help you carry your backpack comfortably and easily along with convenient pockets which you can use easily while still being hidden. 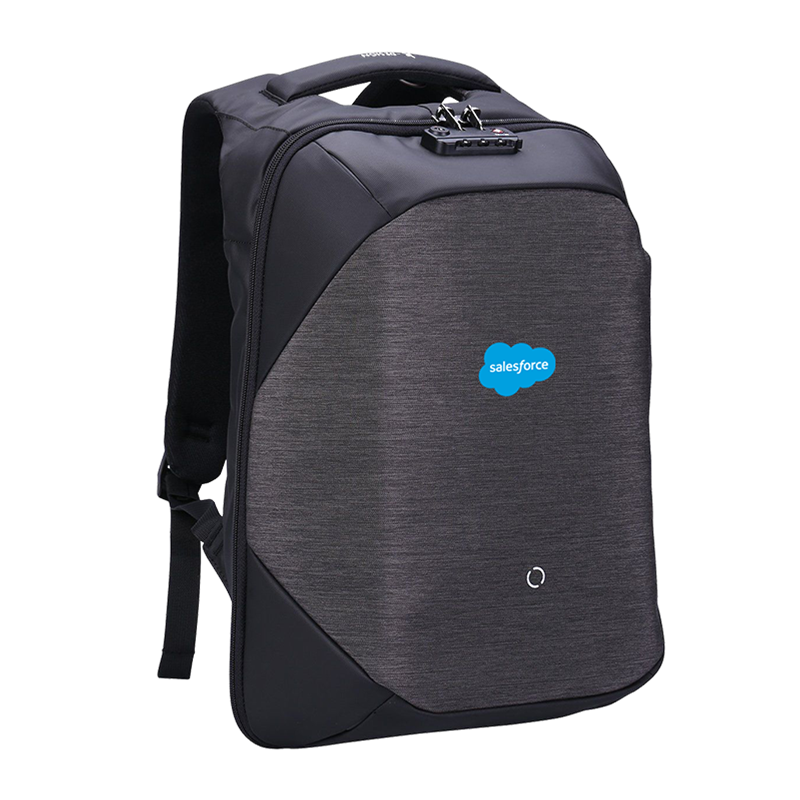 It has a high quality coded lock to the main compartment which fits a 15.6 inch laptop with an anti-shock pad plus 10inch Ipad pocket while still having room to fit powerbank, books, clothes and more. Printed with the Salesforce Cloud to the front.